Spring is in full swing, the temps have been rising but your price point doesn’t have to to get a great bottle of wine. It’s been a while since I’ve covered Monday wines. The truth is, I haven’t been drinking as much. If I have, it has been on the weekend, thus Weekend Wines. Saturday was Ladies’ Day. Mani-pedis with my daughter and sister, a little shopping, a little D’Lites. Naturally that put me in the mood for pink. We popped into our local Whole Foods and I asked my wine-guy for his current favorite Provencal Pink. Domaine de la Sanglière Cuvée Spéciale is 60% Grenache, 40% Cinsault, 100% delicious. Pale salmon and lively in the glass. Bright, floral, subtle red fruit and a bit savory. Crisp and easy. It was everything I was wanting. I went back the next day for two more bottles for our family barbecue. It may be this summer’s go-to at around $11. About ten days ago I’d received some Kosher wines from Israel for Passover. My first experience with wines from the region; it won’t be my last. 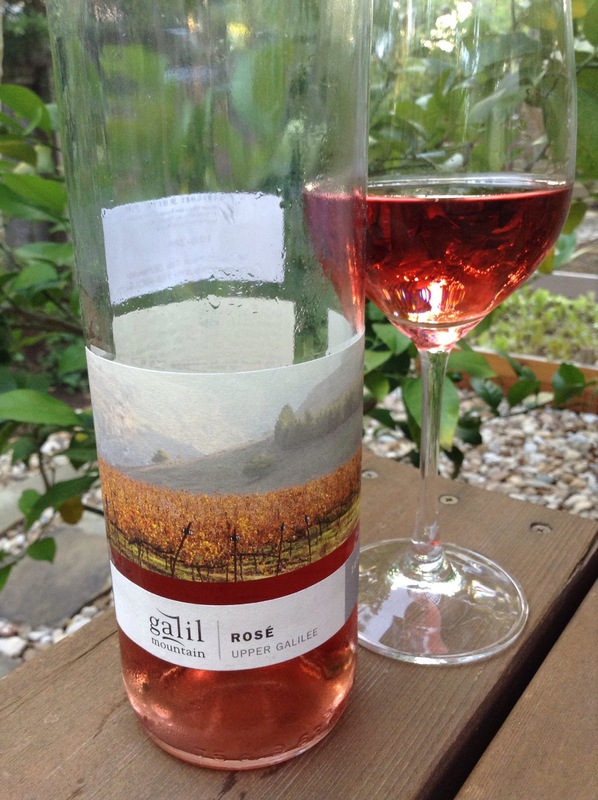 The Galil Mountain Rosé* is a blend of 74% Sangiovese, 23% Pinot Noir, a splash of Grenache grown in the Upper Galilee mountains. The vineyards and the wine both undergo minimal intervention believing that “it’s nature that rules.” Winemaker Micha Vaadia promotes sustainability and has made wine all over the world. The artwork on the label is lovely. The wine pours just as beautifully. It is striking, the color of ripe watermelon. Red fruit dominates, zesty and herbaceous, this wine is a pleasure to drink. Balanced acidity keeps you coming back for more and at $12 a bottle, you can. We had the wine as an aperitif but with the body and fresh palate, it could be paired in many ways. If you find it, try it. 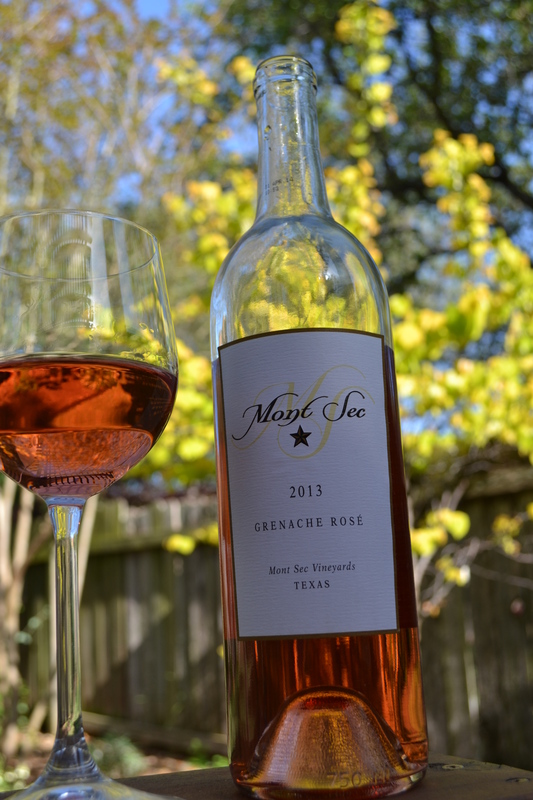 Grenache Rosé is growing in popularity here in Texas and with good reason. This is the second sampling of Mont Sec Rosé* that I’ve tried and I loved it just as much as I remembered. Llano Estacado sent me three of their pink wines and this was the stand out. 100% Grenache from Mont Sec Vineyards, this wine is super fresh. Tart red fruit, fresh, easy to drink and pair. I’ve only found it for purchase on their site($14) but I believe it is in restaurants as well. Three unique regions, hues, and taste profiles. All accessibly priced. All sure to turn your Blue Monday deliciously pink. Cheers! Sounds ,like you had a nice variety there!